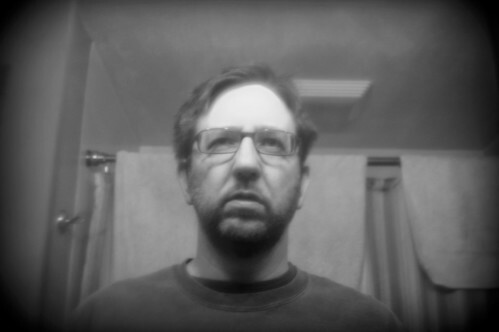 Self Portrait for December 2009. Taken with a Nikon D40 digital camera with plastic wrap affixed to the front of the lens. Posted on Sunday, December 20th, 2009 at 10:26 pm. Subscribe to the comments feed. Both comments and pings are currently closed. Post on your own blog. C’mon man smile! You look like a crazy serial killer.